Big Data analytics is the process of examining large and complex data sets that often exceed the computational capabilities. R is a leading programming language of data science, consisting of powerful functions to tackle all problems related to Big Data processing. The book will begin with a brief introduction to the Big Data world and its current industry standards. With introduction to the R language and presenting its development, structure, applications in real world, and its shortcomings. 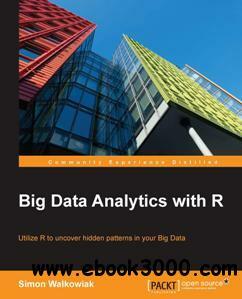 Book will progress towards revision of major R functions for data management and transformations. Readers will be introduce to Cloud based Big Data solutions (e.g. Amazon EC2 instances and Amazon RDS, Microsoft Azure and its HDInsight clusters) and also provide guidance on R connectivity with relational and non-relational databases such as MongoDB and HBase etc. It will further expand to include Big Data tools such as Apache Hadoop ecosystem, HDFS and MapReduce frameworks. Also other R compatible tools such as Apache Spark, its machine learning library Spark MLlib, as well as H2O.